As the dust begins to settle on this summer’s Insomnia gaming festival, a Birmingham academic is reminding us of the unique contributions made by amateur UK programmers in the development of modern videogames. New research from Dr Alex Wade at Birmingham City University explores Britain’s arcade subcultures and bedroom coders, who, following the North American video game crash of 1983, ensured that innovations within the industry continued apace. He portrays the pioneers of UK videogames in the 1980s as being on the cusp between legality and playfulness – a “Wild West of teenagers” – who believed that their actions were validated through their intrinsic benefit to wider society, both at home and around the world. 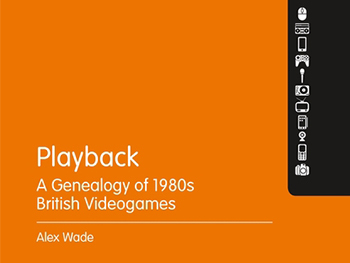 Through interviews with developers, gamers and journalists, Dr Wade’s book, ‘Playback: A Genealogy of 1980s British Videogames’, showcases how particular social and economic conditions gave rise to the modern videogames industry. Dr Wade considers the UK’s reliance on primary and secondary industries being superseded by tertiary and service industries during the 1980s, but, more importantly, highlights the safety of the coder’s bedroom. In their own space away from authoritative figures, such as parents and teachers, but equipped through education, computer clubs, technology purchases and game rentals, youngsters were inadvertently assisting in copying efforts, as well as enhancing their own coding skills. Without experiencing the quasi-legal, ethically hazy practices of the UK coders, crackers and copyists of the 1980s, the field of videogames simply wouldn’t be worth the billions of pounds to our economy that it is today. “The innovation that remains in the industry, the urgent need to explore offshoots and green-sticks of experimentation is not due to its genealogy, it is its genealogy: videogames are still forming their field, still growing. Dr Wade’s research also considers the role of amusement arcades in the 1980s and argues that, despite being historically viewed as unflattering venues which allowed underground movements to thrive, they also gave rise to subcultures which helped propel innovations within the videogames industry. In this sense, Dr Wade argues that by ignoring institutional rules, arcade users learned all the challenges posed by the new technology, how to use overcome them and how to use them to their advantage, initially for pleasure, but then in a workplace environment.